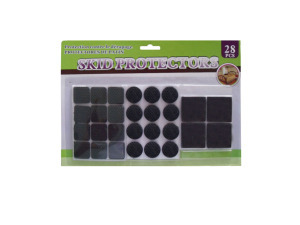 When furniture is placed on a slick surface like wood or stone floors, it should always have skid protectors under it. 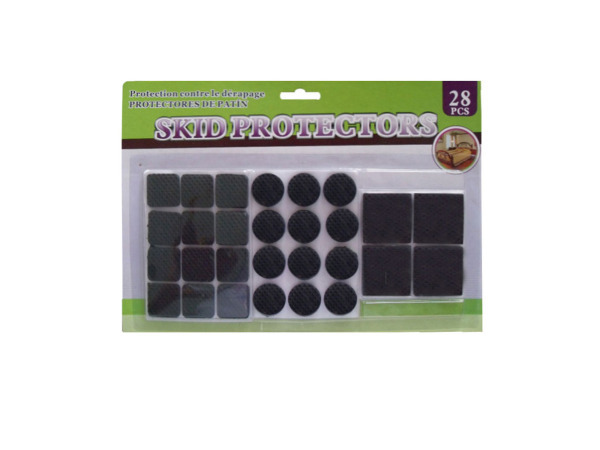 These not only help to prevent the furniture from skidding -- hence the name -- but they can also help to protect the floor from furniture scratches. This set includes 28 skid protectors in a variety of sizes.